Firstbeat Sports found its way from Jyväskylä, Finland to Port Adelaide, Australia via Liverpool, England. Stuart Graham, Port Adelaide FC’s Head of Sports Science was introduced to the advanced physiological monitoring system by his colleague, Darren Burgess, who had used the system in his work with the world famous soccer club Liverpool FC. 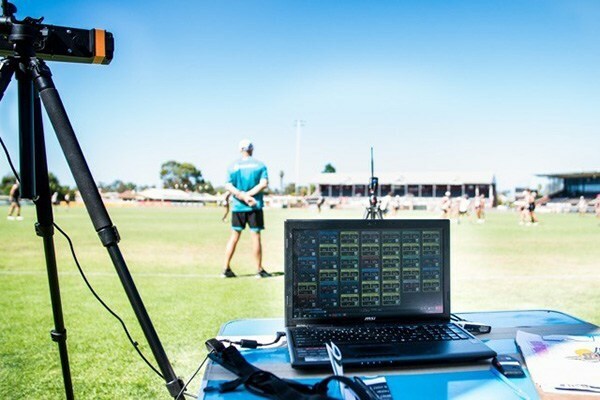 Port Adelaide FC takes player monitoring and development seriously and is well-known for their willingness to invest in these areas. For Port Adelaide FC the decision to choose Firstbeat Sports was easy. Stuart Graham describes the Australian Football landscape as being heavily GPS (External Load) focused, yet the external load “only provides half the picture when monitoring training adaptation for individual players”. Firstbeat Sports reports the internal loading of each player during training. According to Graham, it is only when the team’s sports scientists are able to examine the internal and external loads jointly that the whole picture becomes clearer. “We specifically look for periods when the relationship between internal and external load becomes uncoupled, this informs us that we may need to adjust our training load periodization, or that certain players are not in an optimal state of readiness and consequently may be vulnerable to injury or poor physical performance due to high levels of residual fatigue”. Because Firstbeat Sports provides feedback in real-time the team’s coaches and sport scientists can respond immediately to problem situations. It also confirms when things are going well which allows the team train at maximum capacity with confidence. Training and playing outdoors means exposing players to a variety of conditions that impact performance. Firstbeat Sports also helps the team manage training in response to changing environmental factors. “When we are monitoring, it is easy see how heat, for example, is affecting the players as a group, and it is in real-time so we can adjust” Graham says, highlighting a valuable aspect of group monitoring. One particularly interesting usage of the individual monitoring data at Port Adelaide FC is to confirm effective pairings of athletes during drills. “Along with coaching staff, we get to see players challenge each other physically when paired together in a training drill” This is a powerful motivational tool, as well as invaluable comparative tool for coaches. The ability of Firstbeat Sports to monitor large numbers of athletes participating in activities across the field is particularly important to Australian Rules Football teams. Australian Rules Football is played on large oval fields of varying dimensions. Port Adelaide FC’s home field, Alberton Oval, approaches the maximum dimensions allowed; measuring 170m by 130m (185 yds by 142 yds). According to Graham, Firstbeat Sports’ receiver allows the internal load of players to be monitored without interruption even on this large sports field. By rule, the team is allowed to dress 22 players for each game. These players are selected before each game from the team’s larger 45-man roster. The team’s full roster includes players ranging from age 18 to low-30’s and is typically comprised of 40 senior listed players and 4-5 rookie listed players. During the game, there are 18 on-field players and substitutions are frequent. Each team is allowed 100 substitutions per game. League safety rules prevent players from wearing heart rate monitors during games, so coaches work to keep their best team on the field using monitoring data collected during the week’s training sessions. Port Adelaide FC’s sports science staff uses the Firstbeat Sports data to produce quick glance post-training reports for each player. The players’ competitive nature surfaces as they assemble after training to review and compare their results. These reports focus on five key metrics: Average Heart Rate, Maximum Heart Rate, Time Spent in Zone 4 (Very Hard Training), Time Spent in Zone 5 (Maximal Training), and Training Effect (TE) Score. The TE-score is a unique Firstbeat Sports metric which accurately predicts the impact a particular training session will have on a player’s fitness level based on their current fitness level.